These cupcakes smell amazing! A great addition to your fall product line. Your customers will think they are the real thing! You Save $19.95 by purchasing this kit rather than buying the items separately. 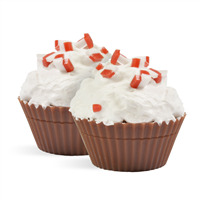 CUPCAKE/FILLING: Sorbitol, Propylene Glycol, Sodium Laureth Sulfate, Stearic Acid, Myristic Acid, Water, Sodium Hydroxide, Sodium Cocoyl Isethionate, Titanium Dioxide, Apricot Seed Powder, Orange 4, Yellow 5, Mica, Iron Oxide. 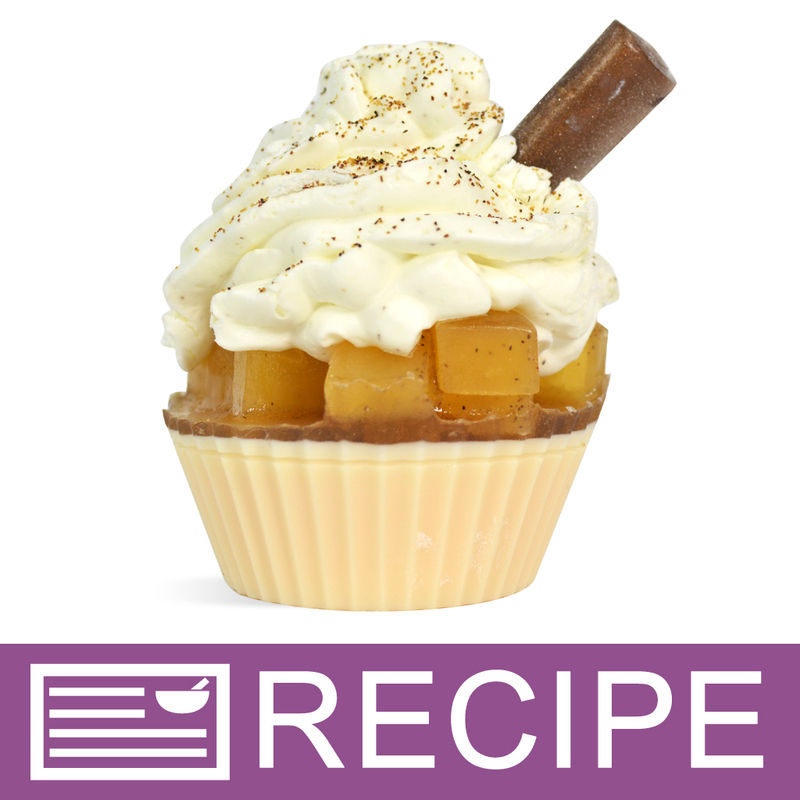 WHIPPED TOPPING: Propylene Glycol, Sorbitol, Glycerin, Sodium Laureth Sulfate, Sodium Stearate, Sodium Myristate, Sodium Cocoyl Isethionate, Water, Disodium Lauryl sulfosuccinate, Stearic Acid, Myristyl Myristate, Sodium Chloride, Diazolidinyl Urea, Iodopropynyl Butylcarbamate, Titanium Dioxide, Apricot Seed Powder, Fragrance, Yellow 5. COMMENTS: I bought the kit to have a wide variety of autumn products for my first craft fair this fall. 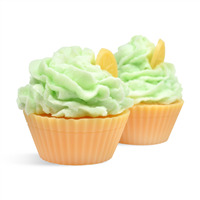 The kit made it so easy to put together these cute cupcake soaps. I made 2 more batches in different scents, and will probably make at least a couple more before the summer is over. I think these will make for some great eye candy to draw people to my area.